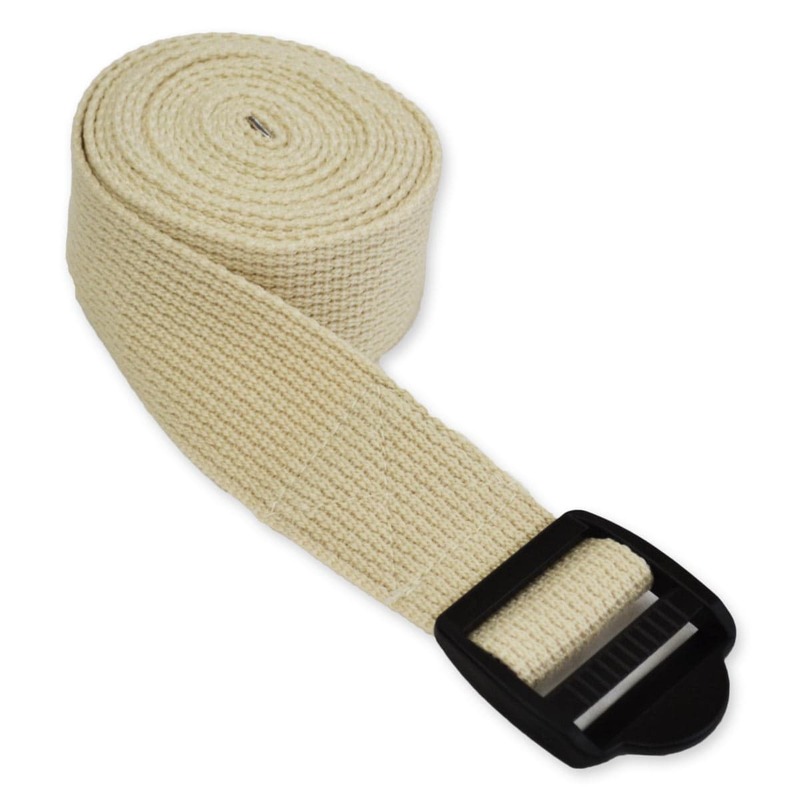 Our Cotton 8 Foot Yoga Strap is made from natural 100% cotton. Imitators use nylon which causes frequent rug burn, rashes, and is hard on the skin. Our cotton straps are woven tightly to form a textured yet soft non slip surface. The cinch buckle is lightweight and extremely durable under pressure. It's easy to adjust and the perfect width that makes it easy to hold without cutting off circulation. Yoga straps are essential for perfecting alignment and increasing flexibility, and 8 feet is more than enough length for most people. Yoga Props are useful for yoga students at all skill levels. Whether your students need help maintaining proper alignment in postures, or need extra length to simply connect their limbs together when they are not strong or flexible enough to do so on their own, you will find these Yoga Props are just what the doctor ordered! 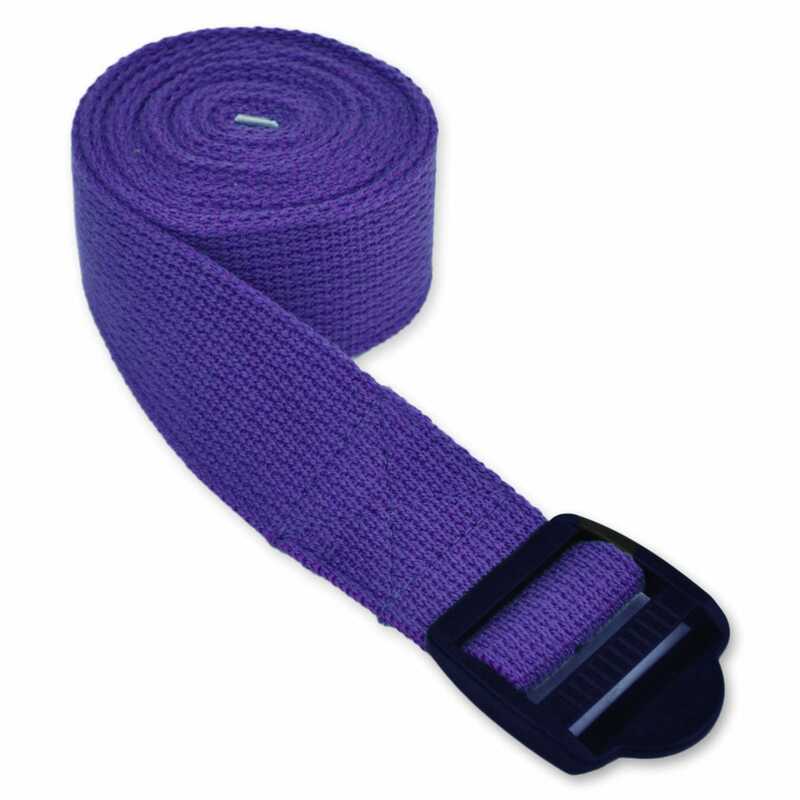 Our Yoga Props are sturdy and durable and made of 100% cotton, and these particular straps measure 8 feet long and feature a plastic cinch buckle. Sturdy, easy to use buckle, nice length. wanted a strap that is a bright color (not black) and this fits the bill. I bought two straps. They are really very nice and the buckle is very strong. I highly recommend this product- you can't go wrong with it. Perfect length too. This was just what I hoped it would be. The plastic buckle holds without slippage, and the pink color stands out and lets everyone in class know that it is mine. Shipped promptly...no problems. I would buy this again. Very pleased with my purchase - as usual. I wanted a longer strap that my standard strap that I got when I started practicing yoga. 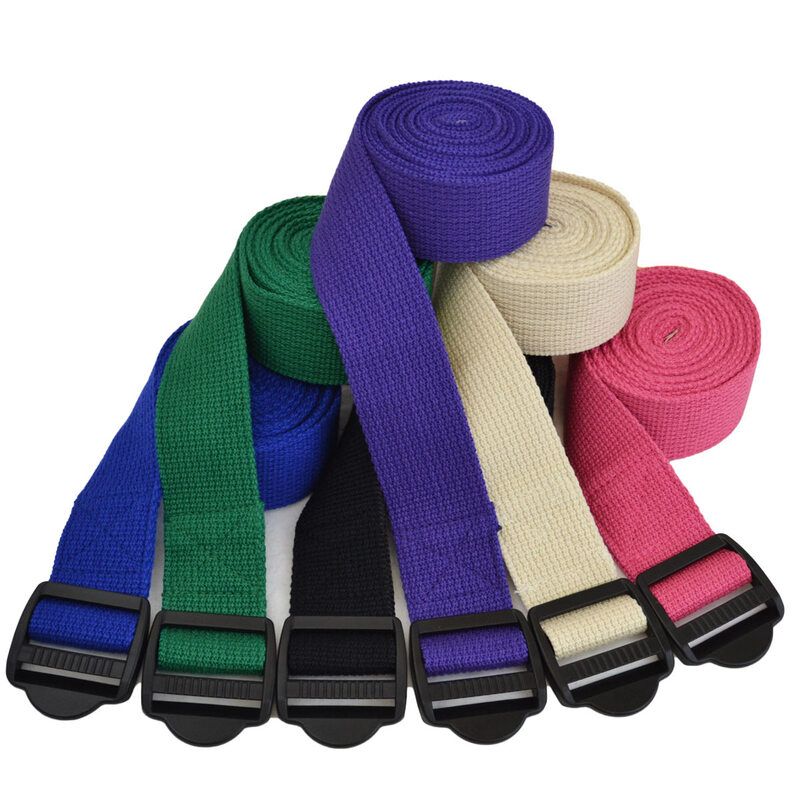 I also wanted a strap that would stand out from the natural-colored (off-white) ones that are in our studio. I also didn't want a metal d-ring closure. This strap has all of those features. It has a tiny bit of give to it, but that is hardly noticeable. I am very pleased with the purchase and would recommend!